For many travelers, it’s not a great vacation without great places to eat. Trying new foods, experiencing new versions of old favorites and dining in fascinating new locations are all part of the fun of travel. Restaurants on Santa Catalina Island offer diners a buffet of possibilities to explore. 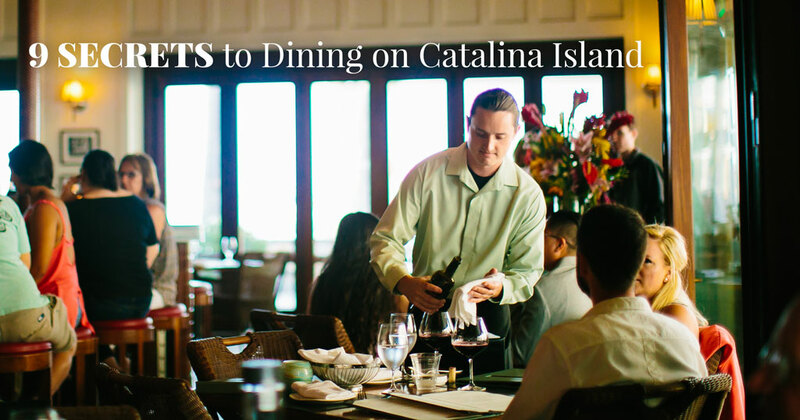 Here are nine tips that will make your Catalina dining experience even better. Take part in the Taste Around of Avalon: Each year, Avalon’s chefs and bartenders face off in a culinary competition known as the Taste Around of Avalon. Visitors and locals alike visit various restaurants, bars and dessert shops to try special offerings and vote for their favorites. At the end of the night, winners are crowned for Best Taste of Food, Best Taste of Drink (both alcoholic and non-alcoholic) and Best Taste of Dessert. The Taste Around of Avalon happens on May 31 and kicks off Avalon Restaurant Week. 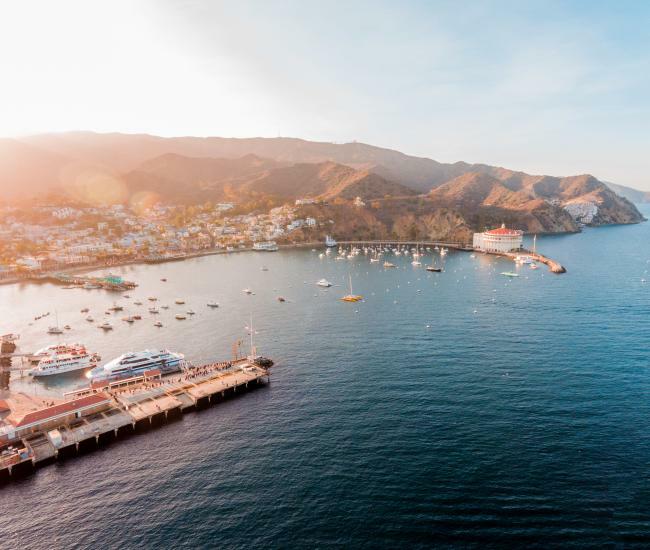 Check out Restaurant Week: Speaking of Avalon Restaurant Week, #CatalinaFoodie travelers won’t want to miss this celebration of Catalina restaurants. More than a dozen Avalon dining spots will be offering special menus – and special prices – between June 1 and June 7. 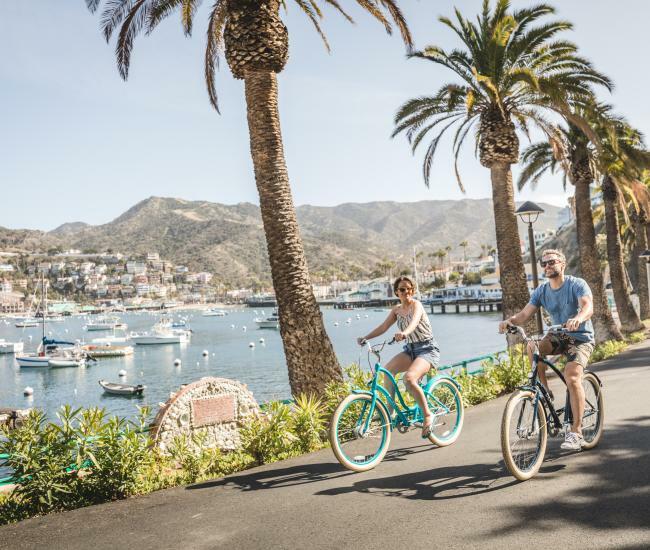 Enjoy the great outdoors with a grab and go: Catalina Island’s seaside vistas and stunning hillsides are calling – why not enjoy them by dining al fresco? Many Avalon eateries offer grab-and-go options for breakfast, lunch or dinner. Coney Island West, Catalina Coffee & Cookie Co., Eric’s on the Pier, Café Metropole, Descanso Fresh, Ben’s Bakery, Scoops, Lloyd’s of Avalon, Avalon Bake Shop and Antonio’s all offer a variety of food options to make your picnic de-lish. Avalon offers a number of great places to enjoy your food: you can’t go wrong eating on the beach or in a park; picnic tables overlooking Avalon Harbor are located on the harborside of the Casino Building and there are tables in the arcade of the Shops at Atwater and in front of the Avalon Library. Go local – and seasonal: Fresh fish and seafood is widely available on Catalina Island. Local delicacies include swordfish, sanddabs, spiny lobster, California halibut and white seabass. Local chefs at the Seaport Bistro, Lobster Trap, Maggie’s Blue Rose, Avalon Grille, Steve’s Steakhouse & Seafood and Bluewater Avalon have all crafted unique ways of cooking the sea’s bounty that provide an authentic taste of Catalina Island. Cook their catch or let them cook yours: Speaking of fresh fish, if you’ve caught something yummy while fishing in Catalina waters, Bluewater Avalon and The Lobster Trap will be happy to cook your catch for you. If you’d prefer to cook for your family at your vacation rental, several locations, including The Lobster Trap, offer fresh fish for sale. Make reservations: In the summer months – and on the weekends – Catalina restaurants are popular places. Not all places to eat on Catalina Island accept reservations but planning ahead with those that do can save you some wait time. Be flexible: Like everywhere else, the busiest time to dine on Catalina Island is from 6 to 8 p.m. on Friday and Saturday. Dining before 6 or after 8 on weekend nights can help you avoid the rush. 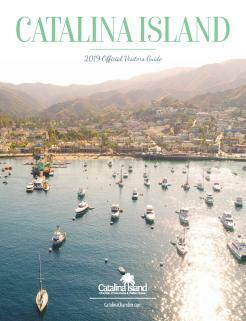 Plan ahead: Most Catalina restaurants post their menus on their websites. Take a few minutes to peruse the offerings and make sure their fare sounds delicious. Want a get sneak peek before deciding? Book an Avalon Tasting & Cultural Walking Tour, a food tour that lets you taste at six different Catalina dining locations. 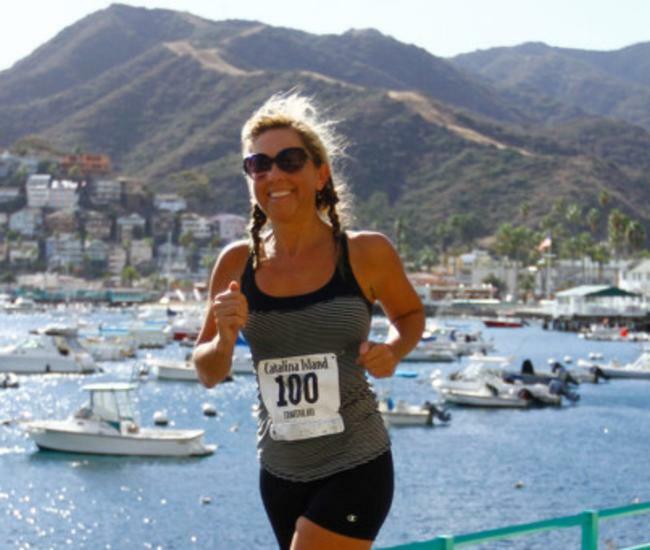 Dine with a view: Many of the places to eat on Catalina Island offer a view. The Descanso Beach Club, Eric’s on the Pier, Antonio’s Cabaret and Bluewater Avalon are all either beachside or harborside. Luau Larry’s, the Avalon Grille, Steve’s Steakhouse & Seafood, Maggie’s Blue Rose, El Galleon and Coney Island West all offer seating with an Avalon Harbor view. Get out of town and head to the Airport in the Sky, where the DC-3 Café offers breakfast and lunch overlooking the island’s wild interior. Venture farther afield and dine on the patio at the Harbor Reef in Two Harbors. Or enjoy Avalon’s quaint streetscapes and fascinating people watching at Coyote Joe’s, Original Jack’s Country Kitchen, Three Palms and Mi Casita.